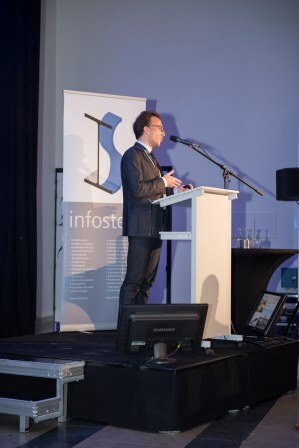 On Tuesday November 15, in De Montil, Affligem (Vlaams-Brabant, Belgium) Infosteel association welcomed more than 500 members of the steel construction community in Belgium and Luxembourg. At the program of the day: conferences, awards and networking. All ArcelorMittal entities providing steel products, building components, systems made of steel as well as transformation and logistics services attended the event. 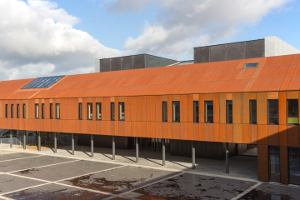 ArcelorMittal Europe – Flat Products put in the spotlight Indaten®, the reference in self-protecting steels with raw aesthetic, and Granite® Silky Shine, the new pre-painted steel for facade systems with a high-gloss luxurious skin that enhances the visibility of buildings. 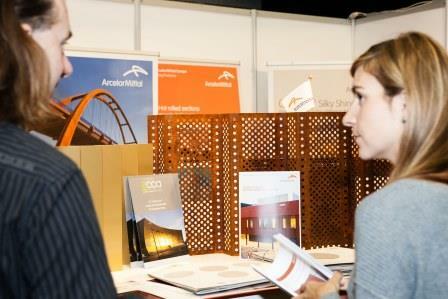 ArcelorMittal Distribution Solutions in Belgium (Disteel) promoted its wide range of products. As a multi product stockist, they can deliver with 48 hours standard or taylor-made finished products anywhere in Belgium, Luxembourg and the export with closed, open and crane trucks. At 9:30 in room A, Prof. Dr. Olivier Vassart, Directeur Général de la Global R&D Long Carbon – ArcelorMittal, spoke about the new opportunities for construction offered by 3D printing in steel. At 11:30 in Room B, Riccardo ZANON, Head of Business Development EuroStructures at ArcelorMittal Europe – Long Products, Luxembourg explained how concrete-steel combinations bring efficiency, aesthetics and cost efficiency to civil engineering structures. This year, the Steel Construction Day hosted conferences on architecture and technology, an exhibition space, the presentation of outstanding construction projects among which the bestwas elected during the steel construction contest. The day also included the Steel Prize Award for students, and a special price to an innovating and aesthetic project featuring pre-painted steel.